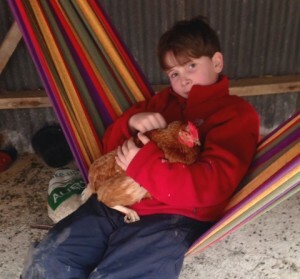 Crossways Farm lends itself to all sorts of activities, both contemplative and active. It is surrounded by fields on three sides, giving it a wonderfully peaceful setting where you can watch the clouds go by or the flames in the fire and forget the rest of the world exists. It is a perfect retreat for reading, writing, arts, crafts and music. All musical instruments are welcome! For those after more energetic pastimes, there are plenty of indoor and outdoor activities to enjoy at and around Crossways Farm, which are detailed below. Please see Walking & cycling and Places to visit for more things to do in the local area and further afield. For those bringing children, please see Families for further information on activities and facilities. ‘Instant tabletennis’ for use on the breakfast table will provide some rainy-day entertainment, or you can take it out on the terrace in good weather. There is also a selection of games, books and DVDs for all ages, a selection of magazines, and pencils and crayons for children. Please feel free to play the piano in the sitting room. Relaxation: You are welcome to explore the whole garden, and you will have your own area to relax and enjoy the surroundings with 2 hammocks, table and chairs and barbecue grill. A summer house with a beautiful view of the house is a good location for afternoon tea and cake on hot or rainy days. 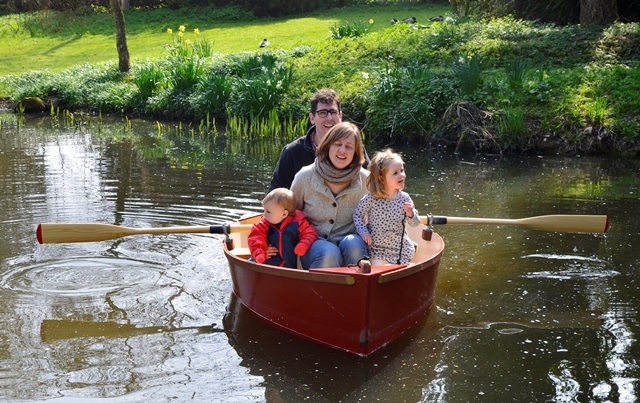 Fun and games: The garden has a medieval pond and moat on which you can take an excursion in a rowing boat (lifejackets available for little people). You are welcome to borrow the croquet set or tennis rackets and balls to play tennis; however, as the tennis court is currently in the process of recovery from a weed infestation, this will only suit non-serious players for now as the service boxes are a bit bumpy! Animals: The goats love to join in fun and games and you are welcome to play with them. Anyone, large or small, who would like to get more involved with the animals (playing with them, feeding them or collecting eggs) is very welcome, please just let me know! Wildlife and birdwatching: Crossways Farm is lucky enough to host a large quantity of visiting wildlife, including muntjac and roe deer, hares and rabbits, ducks and moorhens, pheasants and partridges, stoats and weasels, barn owls and tawny owls, bats, woodpeckers, sparrowhawks and even occasionally water voles and kingfishers. With a bit of luck, you will hopefully see some of these animals during your stay, especially if you go in the garden early in the morning or in the evening. 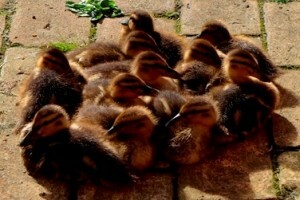 In the spring and summer you have a good chance of enjoying the sight of baby moorhens and ducklings on the pond and around the garden, and I can provide grain for you to feed the ducklings. Binoculars and wildlife identification guides are available to watch the birds and other wildlife in the garden or out and about. A plant identification guide is also available. There is a reservoir just across the field where swallows often congregate to drink water and a pair of Canada geese raise a family every year. For good birdwatching areas elsewhere in the county please see woods and nature reserves and the coast, estuary and broads. For children: There is a swing and little ‘den’ under some trees, as well as plenty of space to play and explore (temporary fencing is available for those wanting to keep babies and toddlers away from the pond). 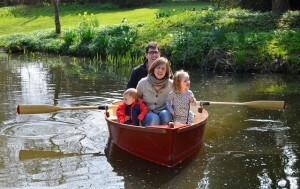 The rowing boat is usually a hit with little ones!